Throughout the crustal earth strata are found that are consistent with muddy/ashy/sandy material sequentially or simultaneously layered upon each other in flat layers, and then apparently bent or lifted up while still "plastic" or non-hardened. The landmass above sea level is covered with 70-80% sedimentary rock, the rest (20-30%) being igneous or crystalline "basement" rock. This could be consistent with huge shifting movements of the crustal earth mid and post flood as described in the Bible.Gen. 7:24-8:22. All photographs from the Southwest U.S.(by JGL). Diagrams from the USGS with permission. (This diagram displays continental drift but within a long age perspective-where as the same evidence can be put within a short time period such as the Noah Flood Account). 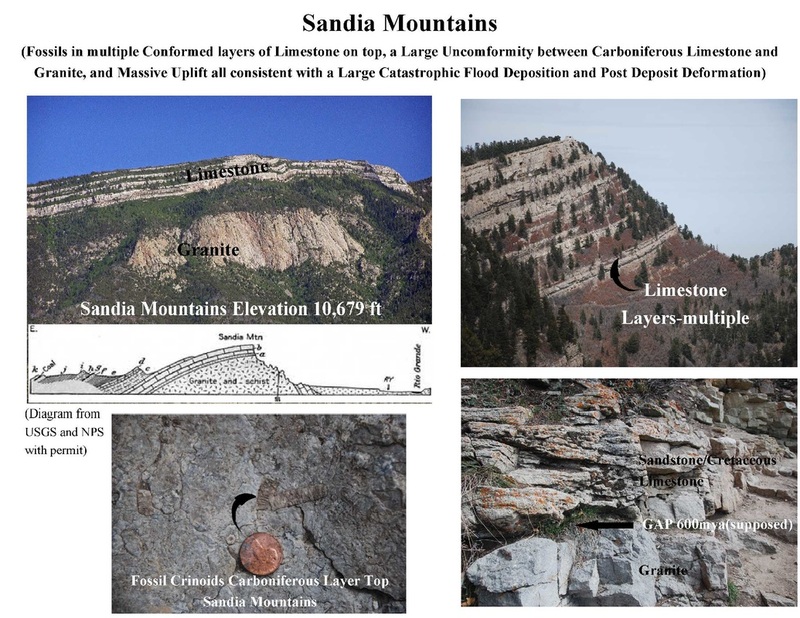 The conventional dating assigned to the lowest Pliocene, marine sandstone of the Split Mountain Formation assumes an age of several million years. The age assigned to the soft-sediment deformation is middle or late Pleistocene—within the last million years. This dating system assumes that sediments, in a state of deep burial, stayed soft and pliable for millions of years or that the hard, brittle rocks bent with virtually no breaking or cracking! The rocks, however, tell us a different story—one in which the recent global Flood laid down immense deposits of sediments in a short amount of time. Soon after, the subsequent folding of these sediments, while they were still unlithified, produced the dramatic deformation we observe today. 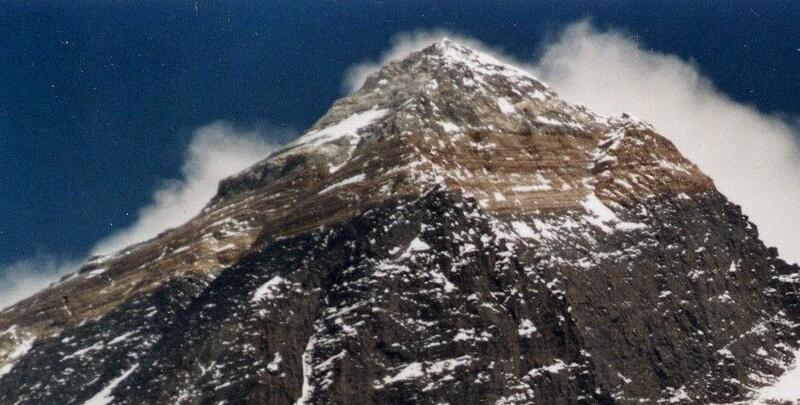 God’s hand was in the Flood event…the rocks bear witness to this cataclysm and still speak to us today." See article at link below. Copyright 2003 by Creation Science Fellowship, Inc.
Pittsburgh, PA USA - All Rights ReservedJOHN R. BAUMGARDNER, PH.D.ABSTRACT The wealth of new data, mostly from the ocean bottom, that precipitated the acceptance of plate tectonics during the 1960’s simultaneously also opened the door for the first time in more than 200 years to a technically credible defense of the Genesis Flood. From the mid-1700’s through the days of Hutton, Lyell, and Darwin to the 1960’s, it overwhelmed the human mind to imagine a mechanism that could possibly deliver, in a single brief event, the magnitude and complexity of geological change evident in the continental rock record above the point where fossils first appear. However, with the new awareness that the Earth’s interior could participate in the process and that the stiff layer of rock some 50 miles thick beneath the oceans could be recycled into the Earth, the stage was set for a breakthrough in regard to the mechanism for the Flood cataclysm. The crucial final piece of the puzzle has come from laboratory experiments that have carefully measured the way in which silicate minerals deform under conditions of high temperature and high stress. These experiments reveal silicate material can weaken dramatically, by factors of a billion or more, at mantle temperatures and for stress conditions that can exist in the mantles of planets the size of the Earth. The scenario in which all the Earth’s ocean lithosphere is rapidly recycled into the mantle via a runaway process, enabled by this stress-weakening behavior, is now known as catastrophic plate tectonics." See link below for more information. "Any comprehensive model for earth history consistent with the data from the Scriptures must account for the massive tectonic changes associated with the Genesis Flood. These tectonic changes include significant vertical motions of the continental surfaces to allow for the deposition of up to many thousands of meters of fossil-bearing sediments, lateral displacements of the continental blocks themselves by thousands of kilometers, formation of all of the present day ocean floor basement rocks by igneous processes, and isostatic adjustments after the catastrophe that produced today's Himalayas, Alps, Rockies, and Andes. This paper uses 3-D numerical modeling in spherical geometry of the earth's mantle and lithosphere to demonstrate that rapid plate tectonics driven by runaway subduction of the pre-Flood ocean floor is able to account for this unique pattern of large-scale tectonic change and to do so within the Biblical time frame." See Link below for further information. "Experimental investigation of the solid state deformation properties of silicates at high temperatures has revealed that the deformation rate depends on the stress to a power of about 3 to 5 as well as strongly on the temperature. This highly nonlinear behavior leads to the potential of thermal runaway of the mantle's cold upper boundary layer as it peels away from the surface and sinks through the hot mantle. The additional fact that the mineral phase changes that occur at 660 km depth act as a barrier to convective flow and lead to a tendency for large episodic avalanche events compounds the potential for catastrophic dynamics. Two-dimensional finite element calculations are presented that attempt to model these strongly nonlinear phenomena. It is proposed that such a runaway episode was responsible for the Flood described in Genesis and resulted in massive global tectonic change at the earth's surface." See Link below for further information. Image below from Wikipedia 4-27-15 public domain. 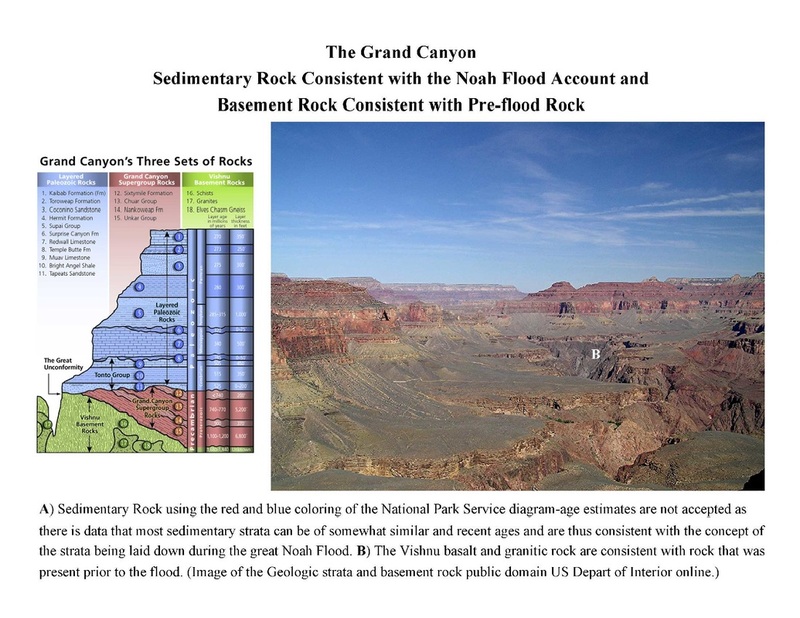 The Geologic Column with Gaps Observed in the Grand Canyon by John D Morris ICR Feb. 2012. Click button below. ﻿﻿'The Rim is an escarpment ﻿defining the southwestern edge of the ﻿Colorado Plateau, ﻿and along its central and most spectacular portions is characterized by high limestone and sandstone cliffs, namely the Kaibab Limestone and Coconino Sandstone. It was formed by erosion and faulting, and dramatic canyons have been cut into it, including Fossil Creek Canyon and Pine Canyon. The name Mogollon comes from Don Juan Ignacio Flores Mogollón, the Spanish Governor of New Mexico from 1712 to 1715.